You must make reservations at least 5 minutes in advance of the time at Duke's Chophouse. Dukes is located just off the casino floor, therefore patrons must be 21+ to enter. 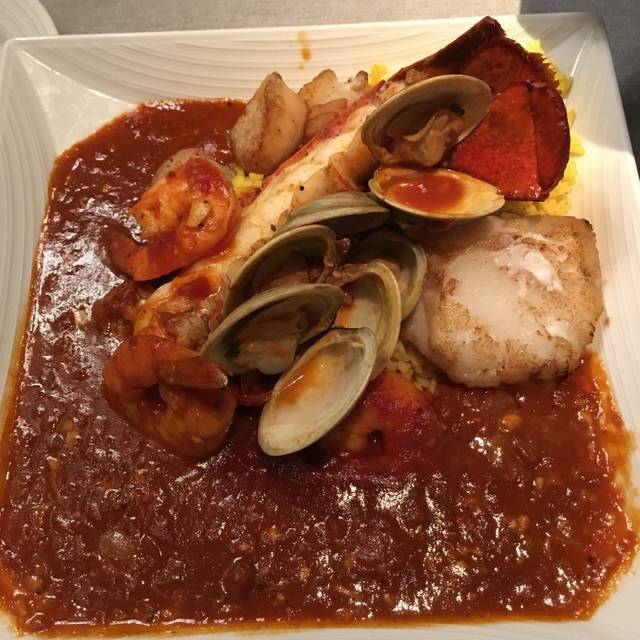 Dukes Chophouse is the Capital Region’s newest must-try restaurant. 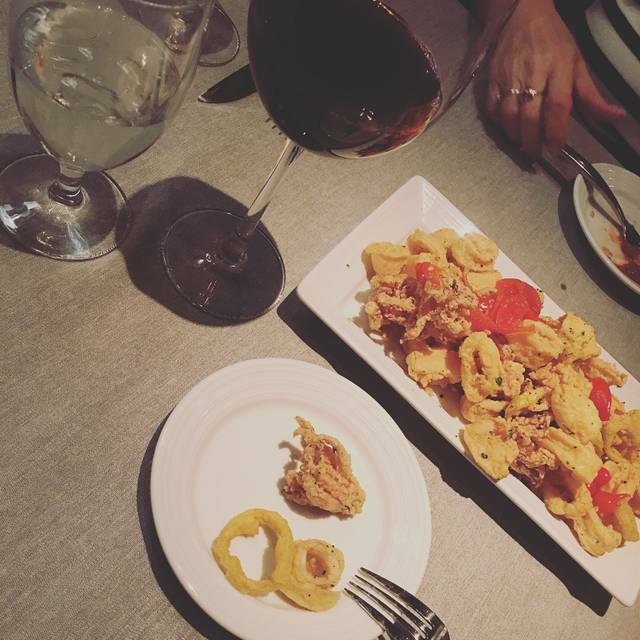 Enjoy a superior dining experience in a fun, comfortable atmosphere just steps from the gaming floor. An outdoor patio with sweeping river views adds to the ambiance of this casual chophouse which features a selection of USDA Prime cuts, fresh seafood and more. A la carte Brunch offered from 10am-2pm Sundays with $4 Mimosa Specials. A private dining room for intimate events and a lounge directly connected to the High Limit area makes Dukes the place to be seen at Rivers. Named for Schenectady icon Tony “The Duke” DeLorenzo, Dukes is the collaborative creation of the Rivers Family and the Mallozzi Family. Job well done. Food was amazing. It was cozy, a little loud but enjoyable. We feel like a fine dining restaurant such as yours the cocktails should be fabulous like other area restaurants. Joe was outstanding waiter! Food is expensive but delicious. I don’t get the value question. You get what you paid for and it was certainly worth every penny. Will be back for sure. Over all it was a great birthday dinner. 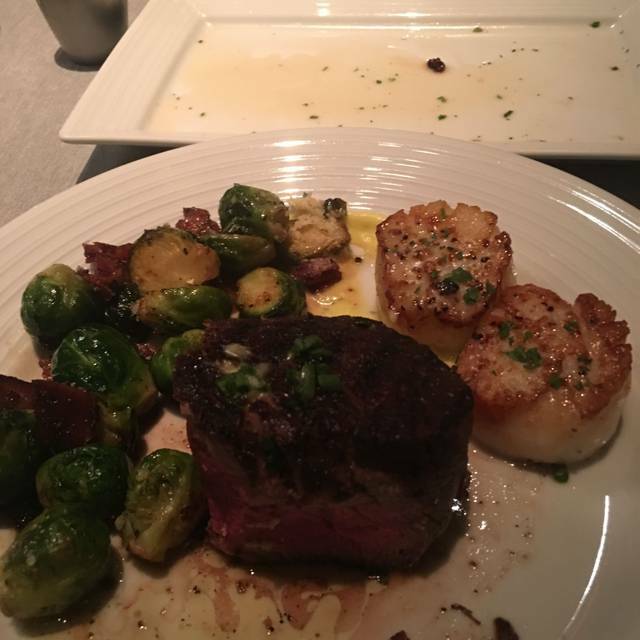 My filet was more medium than medium rare but the service and ambience and food in general were superb. Our booth was a little noisy as we were close to the entertainment. My third time here I have to say again that is the best place in Schenectady. 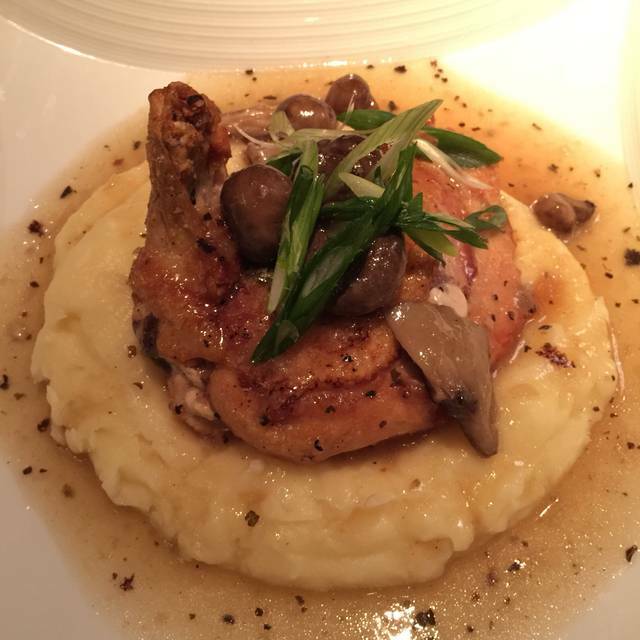 The food is excellent and the service is fantastic. The bone in ribeye was cooked exactly as requested and the crab legs were spectacular. 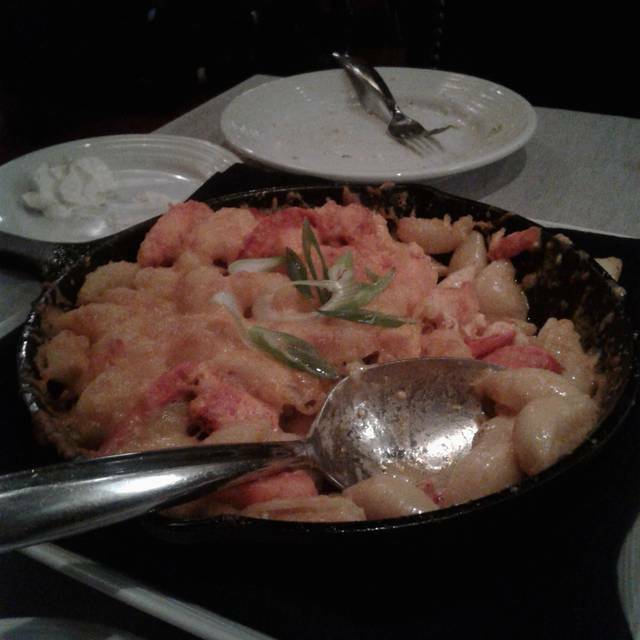 I do recommend the artichoke appetizer and if that wasn’t enough we ordered the lobster Mac and cheese as I side. It was awesome! Thank you again for making my experience unforgettable. We will definitely be back!! Service is outstanding, and if you sit in the front room there is sometimes live piano/cello. Food-wise the crab cakes are next level, generous and pert, not greasy at all. The seafood in general is very fresh and well-prepared, although pricey. A nice classy meal before you hit the casino! Food was great service as well highly recommend! Nice quiet atmosphere and easy to get a table with no wait. My husband and I both had the queen prime rib, with sides of mashed potato, baked potato and mushrooms. The prime rib was cooked to the requested temperature and overall food was great. We arrived 10 minutes early for our reservation and although there were plenty of empty seats. We were told we would have to wait for our table. We waited at the bar and noted, no one else was seated while we waited and no one else was even waiting. It came across as extremely pretentious and unwelcoming. For the price I would think they would be must more hospitable. The service was just great and I just loved my server. Look forward to returning soon when I visit Proctors. Maybe in May. Duke's has been advertising a St Patricks day special of cornbeef for over a month . We made a reservation so we could enjoy this classic holiday food. When we went to order we were told that they were all out of corn beef. I do not understand how they could run out 0f this special item by 8:30 the first day of the special. They were busy and took a long time to get our dinner. The food was good when it arrived. The food and service is phenomenal. The best prime rib, french onion soup, mushrooms, potatoes we ever had. A frequent customer. 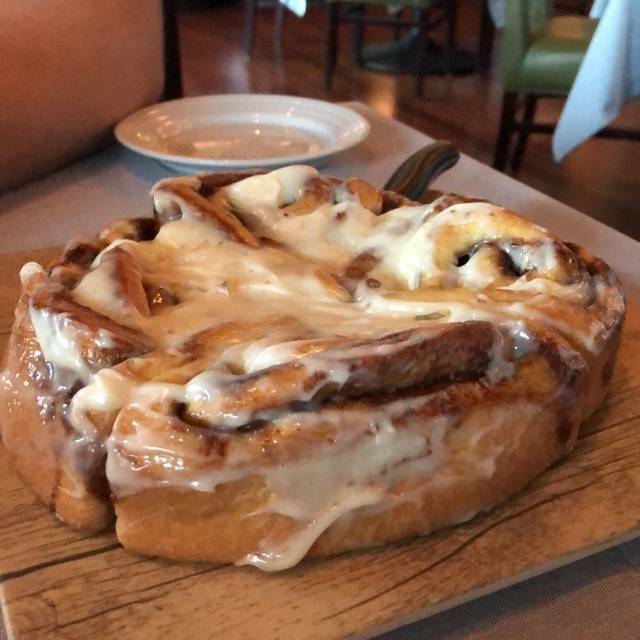 We highly recommend Dukes. Been at Duke several times ... But this was the first time the menu was actually explain to us . Our server Barbra was very kind and respectful and very professional. Our appetizers and meal were brought in a timely matter. All dishes were very well prepared . the only negative were the chips or breading that came with spinach dip are to thick. 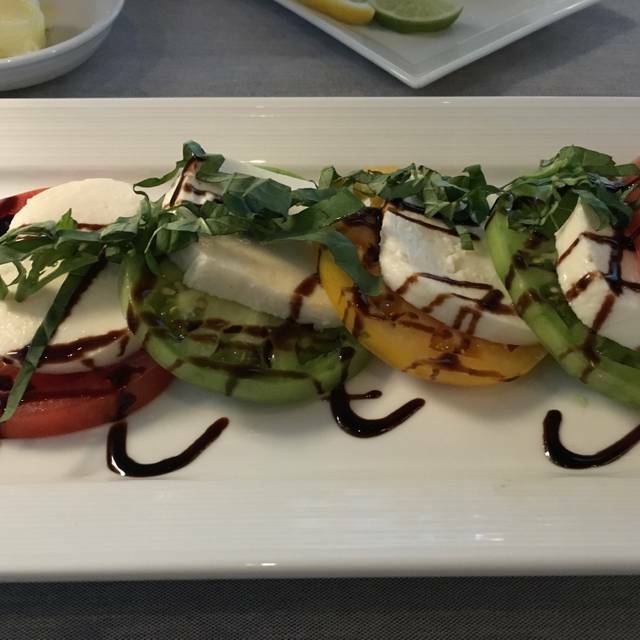 Although I would recommend Dukes to my friends .. and I would recommend to ask for Barbra as your server . As usual, everything was perfect. Shout out to Terry, our waiter. He is an excellent employee of yours! Arrive for 6:15 Saturday reservation and told it will be 20 minutes as they are overbooked. Return and am told it will be ANOTHER 20 minutes - at least a dozen tables are empty inside. Now it feels like they are just trying to get you to gamble more. Inquire about delay - told the kitchen is too backed up, they are delaying seating to help the kitchen catch up. We ask to be seated anyway to enjoy a drink at a table as the bars in the casino are all backed up. Seated, drinks, review the Restaurant Week menu and choose a 3-course, $25 offering. First course of soup or salad, unremarkable but pretty prompt. 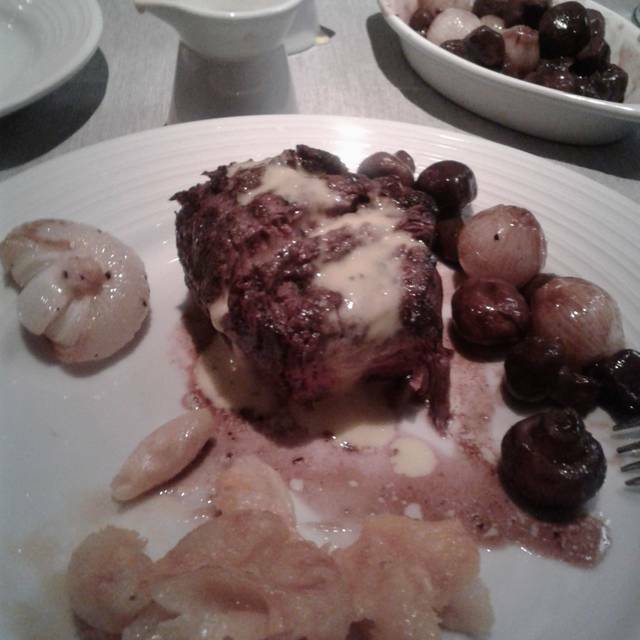 The main course of Filet Oscar is nicely prepared with lots of crabmeat. The pork chop is rock hard and completely black on the UNDERSIDE. Not edible. Mashed cheese potatoes are over-salted, 2 spears of asparagus are, well, asparagus. Dessert of cheesecake or flourless chocolate cake are tiny slices and uninspired. Even with one meal comped, the bill was over $50 for two of us -- and that was a special. Cannot imagine that the dining experience here is EVER worth the price. Open for long enough that these kinks should be worked out. Cannot recommend. Requested seating in the dining room but was given a booth in bar as the table for us still had other customers eating at it. Waiter was a bit dry and not friendly. Food was very good. REC the lobster mac n cheese. too noisy in bar. Tracy the bartender was amazing! Went there for my birthday which also happened to be during Restaurant week. I didn't order off that menu but my daughter did and she said it was excellent. I ordered the prime rib. Delicious! The hostess and servers were very nice. Very noisy and the entertainment added to the cacophony...just the piano player would have been fine. There was a super loud table two tables from us. It would have been nice for the restaurant to remind them that others were there to enjoy dinner and not be jolted out of their chairs from their screeching. Food was not great...short ribs didn't seem like any other short ribs I have ever had. Two carrots, two asparagus spears, two overcooked potato wedges. Went because my friend wanted to try it. Won't go again. The server Nadia was excellent! The food however was disappointing. The crab cake appetizer was not lump crab meat but mostly filler. The roasted chicken was extremely dry and the salmon was burnt on the outside. For an upscale restaurant on a night that was a special occasion we were hoping for better quality of The executions of the dishes. Beautiful space! Amazing food! Great service! Slightly overpriced, but if it’s a special occasion....worth it! The upside: my steak (the rib eye) was terrific. It was tender, delicious and cooked just right. I know steak and this was a great one. Steaks like this are the reason why I cannot be a vegetarian. Although I am not a huge fan of prime rib, my wife's "queen cut" prime rib was also delicious. Also on the upside was the service. A little slow, but it was a Saturday night and fine dining should not be rushed anyway. Our server, Terri, was excellent. Now the downside: I ordered the Chophouse Salad. It was practically devoid of any gorgonzola cheese or bacon. Basically, I got chopped lettuce with a little (very little) dressing. I normally do not complain but, for a $13.00 salad, I reasonably expected more. However, Terri came to the rescue and gave me both extra cheese and bacon, and all was well. I cannot say the same for the side of grilled asparagus that my wife ordered as the same was tough and very fibrous. In conclusion, some things were terrific, some things were not so terrific. Overall, a fine dining experience, but don't go expecting a bargain. Food was amazing and service just as good. Worth every dollar, will be returning soon! Valentines Day Dinner with my wife and daughter. Arrived with Open Table Reservation at 5:45 made two weeks ago and immediately seated in bar area. Host gave us her card and told to call next time rather than use Open Table. Main dining room was not that busy. Nothing exceptional here from a service or entree level for the price paid. Will not be back. The food was excellent only topped by the serviced we received from Steven our waiter. He was informative, polite and helpful. You are very lucky to have such a quality person on your staff. Thank you for a great meal and exceptional service. 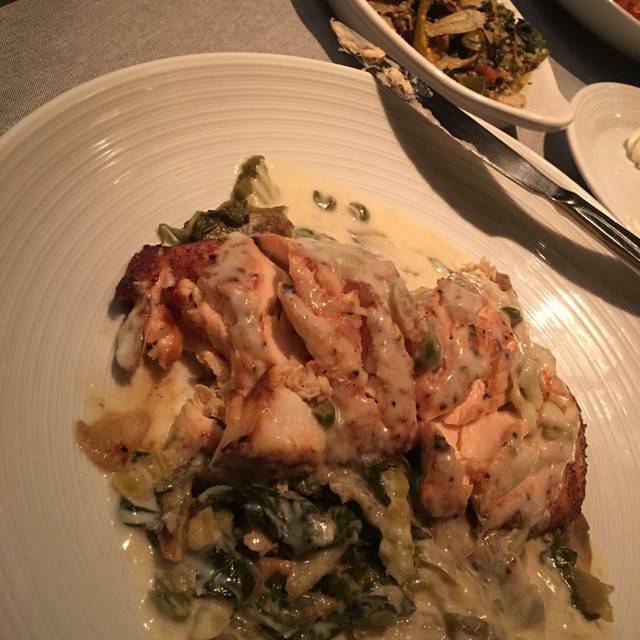 We had a relaxing and casual dinner at Duke's, our fourth time to the restaurant and each meal has been better and more enjoyable. Explore the menu as we have, you won't be disappointed. Brunch at Duke’s is 2nd to none. The renowned steak house has an excellent brunch menu that is delicious and affordable! I would highly recommend it. Charcuterie board was much better a year ago. Actually had townhouse crackers on it. I have never seen that in any restaurant let alone an expensive one. Brussels sprouts sounded much better in the description that they actually were. Swordfish was ok but side of sautéed spinach was very bland. If you want a restaurant for special occasions, keep looking. Service was quite good but food was slightly less than average in preparation and portion. Very high price for the dish. Our first time there - avoided most of the noise on the casino floor by sitting in the dining room. Service was very good as well as the food. Pricey menu however. We ordered 2 NY Strip steaks, one medium, and one medium-rare. They were both very well done, and one was almost leathery. These steaks were $51 each, side dishes sold a la carte. Terrible. Waiter compensated us for one of the steaks. We didn’t want to wait for more to come from the kitchen, as we had already waited an hour. Otherwise, nice place. But clearly they need to correct this if they want us to come back for another $300 dinner. Food was very good. I ordered the lamb and mine was cooked to perfection. My son ordered the prime rib and he couldn’t even finish it was so big and he was happy that he ordered that instead of the filet. our waiter Steven was great Lobster mac and cheese was the best ever. Seems like this was the only restaurant that was inviting and satisfying. Food and service was the best... only problem is they didn't receive my OpenTable reservation for two that I made days in advance. Thankfully Duke's was very accommodating... thank God. Our Sunday brunch was excellent as usual. The only negative was my steak was undercooked but that was resolved quickly.